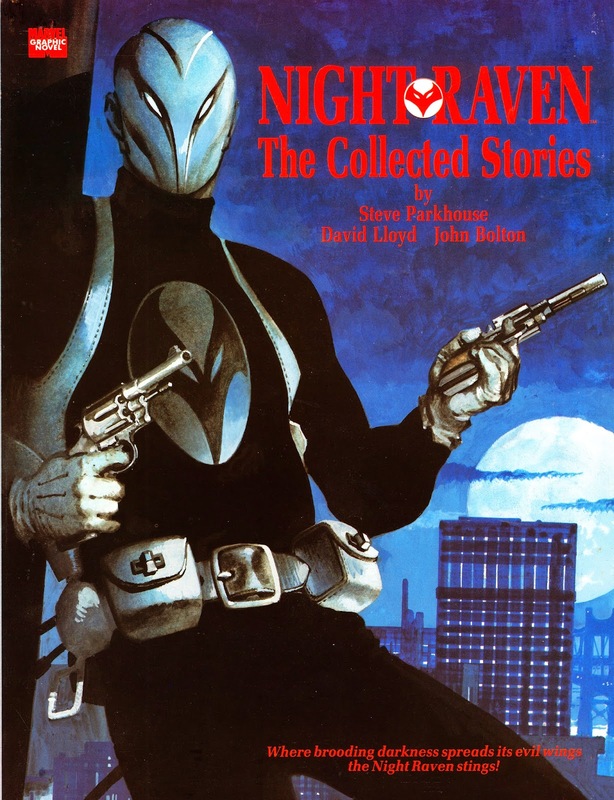 NIGHT RAVEN: THE COLLECTED STORIES, another early 1990s (1990 to be precise) outing for the MARVEL UK character, reprinted (as the name suggests) the strips from 1979's HULK COMIC (and reprinted in 1985's CAPTAIN BRITAIN monthly) in one A4 graphic novel behind a new David Lloyd front page. Oddly for a noir character, M-UK decided to colour the strips for this book. Whether this was to create some value-added appeal to readers or make it more desirable to the book trade is unclear. However, the end results are rather nice and sympathetic to the original art. Unfortunately, it doesn't also collect the myriad of prose stories (some by Alan Moore) that weaved through the UK monthlies (somehow managing to dodge cancellation each time until landing in THE SAVAGE SWORD OF CONAN THE BARBARIAN) throughout the early eighties.